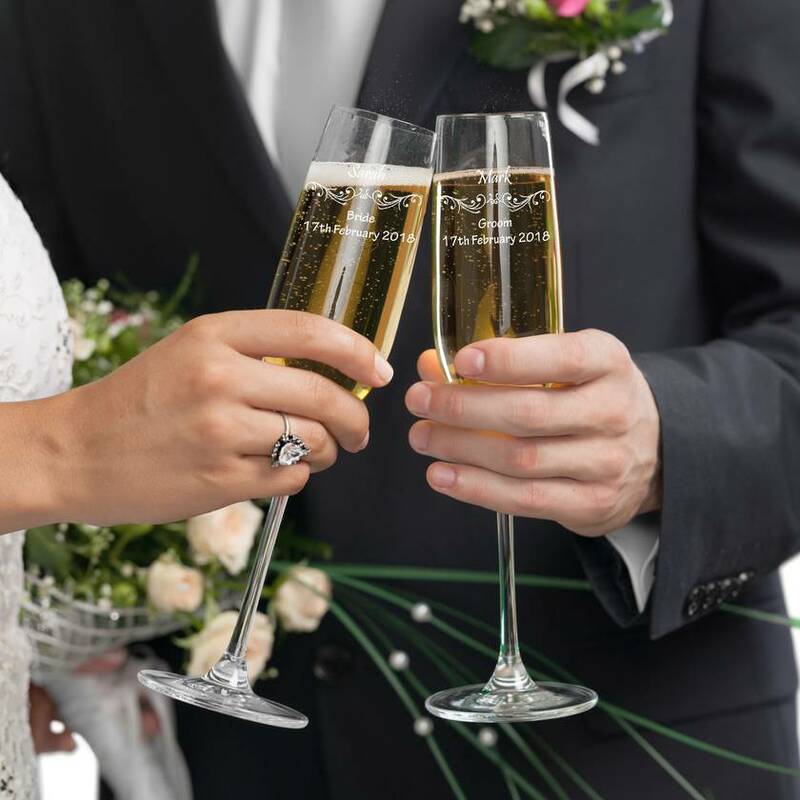 These glasses make a perfect wedding gift, a lovely keepsake to remember the day and first toast as a married couple. 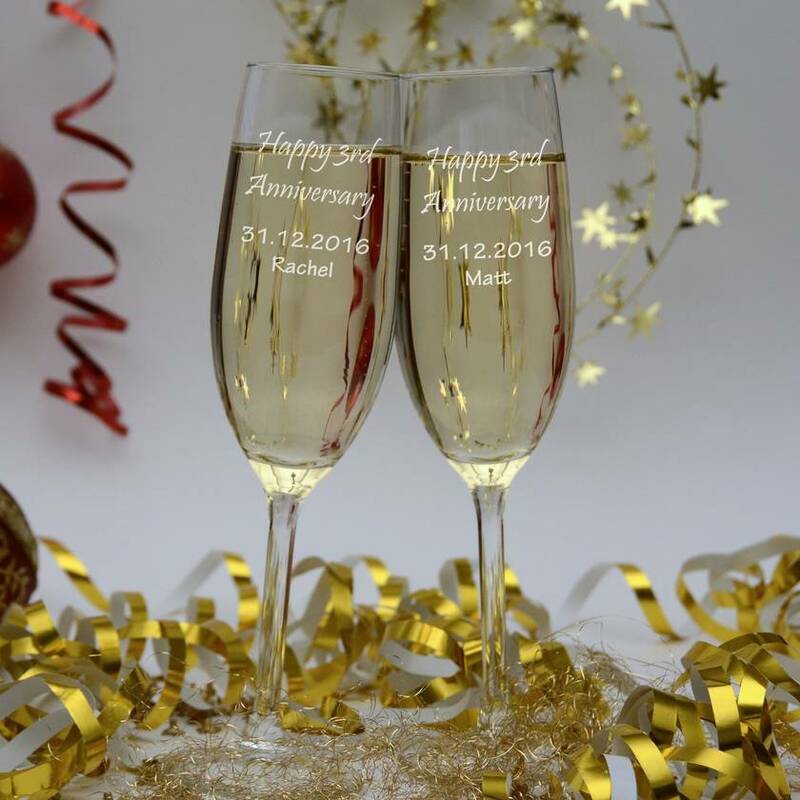 Please provide all the details required for personalising champagne flutes. We will get in touch with you if we need more details. It will take around 1-3 business days to process your order plus shipping time depending on the location. 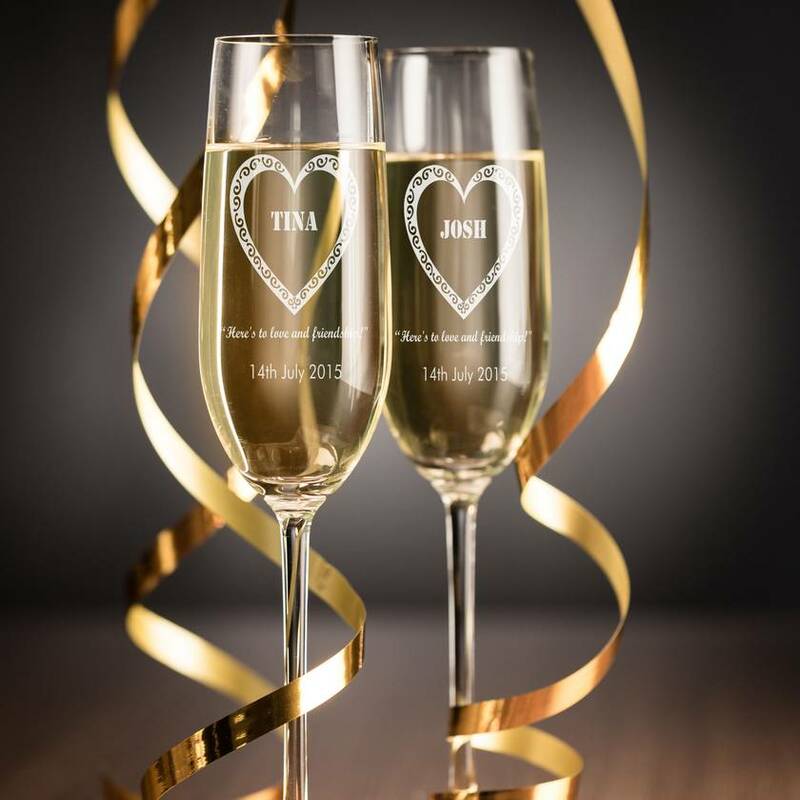 A design draft will be sent before proceeding with engraving.